Have you wept more tears than you knew existed? Maybe you dread facing another day without the one you love. Perhaps the test results came back positive, or your bank account doesn’t account for much. There’s no escaping it — the challenges of life can be overwhelming. But when your source of hope comes from the Source of all power, you will experience His new mercies in each new day. 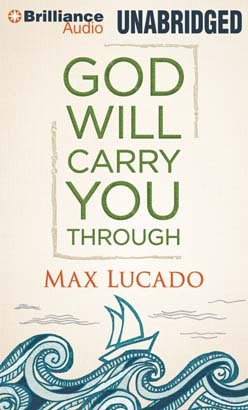 Using themes from Joseph’s life and modern-day personal stories, beloved author Max Lucado beautifully weaves a connection between life’s most tragic difficulties with threads of hope, comfort, and strength we receive as God carries us through. It won’t be painless. It won’t be quick. But God will carry you through.